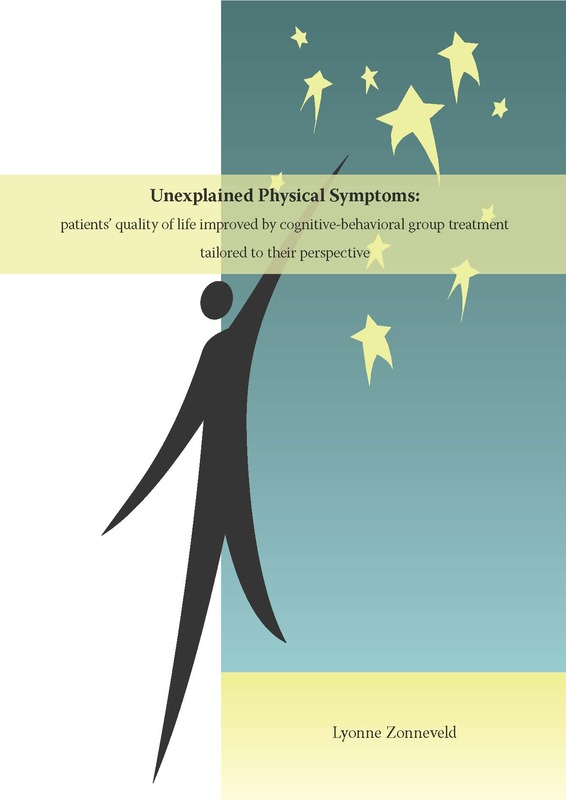 Unexplained Physical Symptoms (UPS) are physical symptoms that cannot be fully explained by a known medical condition. This definition can be refined with supplements such as a minimum number and/or duration of physical symptoms, and/or a certain level of functioning. Depending on these supplements, the estimated prevalence of UPS ranges from 20 to 74% in primary care , and from 30 to 52% in secondary care [83; 112; 123; 161]. UPS is more prevalent in women than in men [14; 68; 86; 112; 135; 165] and women in their forties seem to run the highest risk [38; 58; 79; 86; 135]. The comorbidity of DSM-IV Axis I and II disorders in patients with UPS is high: 26 to 58% of patients have a comorbid depressive and/or anxiety disorder [14; 38; 99] and 37 to 88,6% have a comorbid personality disorder [37; 56; 57; 66; 76; 95; 100; 114; 127; 157]. The number of comorbid anxiety and depression disorders in patients with UPS is higher than that in ‘comparable’, organically explained diseases, for example irritable bowel syndrome versus inflammatory bowel disease or fibromyalgia versus rheumatoid arthritis . The number of comorbid personality disorders in patients with UPS is higher than that in patients with a mood and/or anxiety disorder . Also, the number of comorbid somatic disorders in patients with UPS is significantly higher than that in general primary-care patients [14; 165]. Sponsor This thesis was printed with the financial support of the Department of Medical Psychology and Psychotherapy of the Erasmus MC, Rotterdam, and the Erasmus University, Rotterdam, the Netherlands.